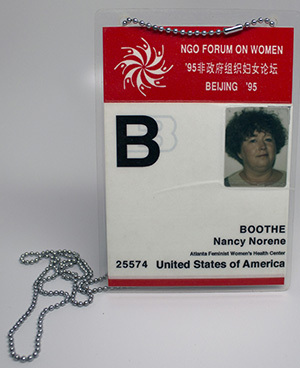 Nancy Boothe became the Executive Director of Atlanta’s Feminist Women’s Health Center in 1994, and in 1995, she attended the Beijing Conference on Women, where she taught a workshop, “GYN Self-Help.” In 2016, the Boothe Papers, along with the Committee on Women, Population and the Environment’s Depo Diaries Records were digitized with the support of a grant from the National Network of Libraries of Medicine (NNLM). The digital collection, which is completely word-searchable, is available on the Library’s website. Boothe has also been interviewed for the Activist Women Oral History Project, and a transcript of her oral history is available in the Special Collections Department Reading Room and upon request. 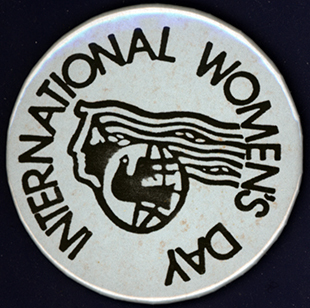 This entry was posted in Communication, Digital Collections, Education, English, For Faculty, For Graduate Students, For Students, General News, Global Studies, Health Administration, History, Oral Histories, Primary Resources, Sociology, Special Collections & Archives, Uncategorized, Women's, Gender, and Sexuality Studies. Bookmark the permalink.